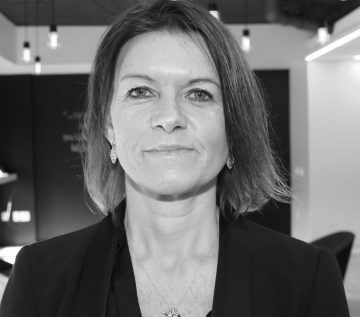 Emma Winchurch-Beale is International Sales Director of The Washington Post based in London and President of the World Media Group – a strategic alliance of ten of the world’s leading international media brands. She oversees The Post’s International sales strategy, managing international sales across both clients and agencies for The Post’s print and digital business as well as leading the International Sales Team. Emma has deep experience and understanding of international media, and before joining the Post she was client sales director at Bloomberg LP where she managed client and regional sales teams across Europe, Middle East, and Asia. Having launched two luxury magazines at Bloomberg and The Economist she also has a good understanding of the luxury market. A career spanning many decades has seen content solutions evolve from simple print advertorials to complex multi platform, highly visible, engaging and prize-winning partnerships. The World Media Group is made up of media brands with quality global journalism built in as part of their DNA. However, quality journalism comes at a price and in a world of ‘digital opportunities’. Why should marketers pay a premium to appear within a credible journalistic environment? While it has long been ‘received wisdom’ that context has a positive impact on consumer engagement levels, advertisers need to know precisely what and how much. The World Media Group tries to answer these questions by working with the independent analytics and measurement firm Moat to understand precisely what impact different forms of premium digital inventory have across a range of platforms: display, video, desktop, mobile and more.